With the big race barely weeks away you’d think the bookies would have finally got a grip on what they think will happen this year at Churchill Downs. 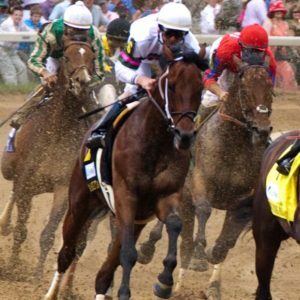 However with Game Winner, Omaha Beach and Roadster all getting 7/1 at Bovada, one of the best online sportsbook sites in the US these days, those improbable 2019 Kentucky Derby odds seem to indicate this one will go all the way down to the wire and those three aren’t the only horses worth backing in this extensive field. 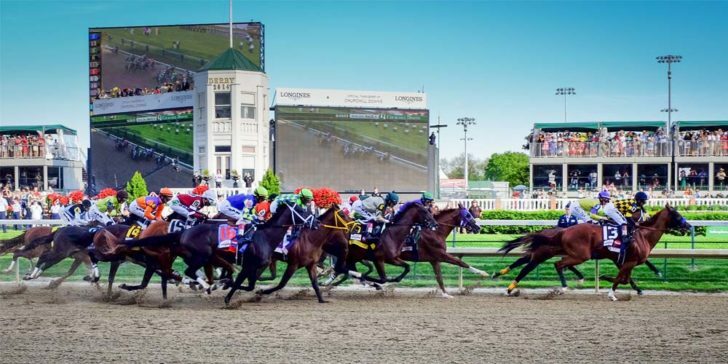 The first leg in the US Triple Crown always attracts massive interest just in case there’s one among them who can not only win this famous race but the Preakness Stakes and Belmont Stakes too. But the largest crowds in US racing will find the improbable 2019 Kentucky Derby odds make this one of the closest races run since 1875 (in inaugural running) and if the bookies can’t pick a favorite perhaps you shouldn’t either, after all there’s plenty of possible winners in there. Alright, so perhaps there are some entries you’d have to be clinically optimistic to back, their chances not so much improbable 2019 Kentucky Derby odds but impossible ones. Master Fencer gets 66/1 alongside Sueno and neither one should be taken seriously as even an each-way wager. The same can be said of Country House (which at 50/1 probably runs as fast as one) and Galilean which gets the same odds and won’t get many takers among those who bet on sports in the US. In such a high pressure race over what is an exceedingly short 1¼ Mile course (the race barely lasts two minutes ever) there’s barely room for luck to play a part and that’s why Signalman gets 40/1 just failing to keep up with the gaggle at 33/1. This includes Long Range Toddy, Gray Magician, War Of Will, Spinoff, and Bodexpress which at that price isn’t so much getting improbable 2019 Kentucky Derby odds as ones that are entirely in keeping with its chances. Bovada is giving 25/1 on Tax, By My Standards, Bourbon War, and Anothertwistafate, which will require one to even get a place finish, and indeed those improbable 2019 Kentucky Derby odds mark the boundaries of sensible wagers on this one. If you’re going to take advantage of US gambling laws to have a little flutter on this famous race it’ll be wisest to stick to horses getting 20/1 or less, and they start with Cutting Humor, Haikaland Win WinWinat that outside price. Far more attractive as an each-way splurge is Code Of Honor at 16/1 who might just grab a place at the line although it should be noted that Tacitus and Vekoma both get 12/1 and are each in of themselves capable of finding a top three result. After that you’ll find the Improbable 2019 Kentucky Derby odds sit at 10/1 alongside Maximum Security and whilst in any other race they’d be firmly in on-the-nose territory in this one they’re still only each-way wager fodder I’m afraid. To pick a winner at Bovada, one of the best online betting sites in the US these days you’ll have to separate those 7/1 shots Game Winner, Omaha Beach and Roadster. WellGame Winner won its first four outings but only came 2nd in its last two races (over shorter distances than this), whilst Omaha Beach has won its last three races and although Roadster has won three of four races, that 3rd place at the Del Mar Futurity may give cause for pause and a bet on Omaha Beach.